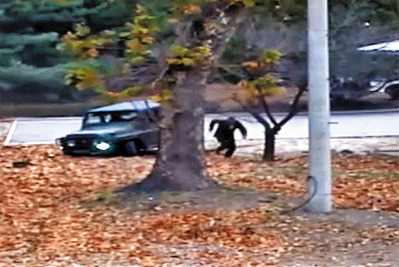 Oh Chong-song, the 26-year-old North Korean soldier who fled across the inter-Korean border in a hail of bullets in November last year, is the son of an army colonel, the National Intelligence Service told the National Assembly's Intelligence Committee on Wednesday. Committee members said the NIS also denied news reports that Oh was involved in a murder in the North. It said a government investigation has concluded that Oh was never embroiled in any crimes in the North. Oh is still in such poor condition that he can only be questioned for an hour a day. He is being treated for tuberculosis besides the gunshot wounds and intestinal parasites that made headlines around the world. The NIS said he made the decision to defect on the spur of the moment.